Will be held at the East Ridge Community Center 1517 Tombras Ave, East Ridge Tn 37412. Sign-ups will be from 10am-2pm ages 5-12, on the following dates. July 6,13,20,27. All players wanting to play football must already be 5 yr of age to start. Cost for Football is 100.00 per player, this includes there game jersey, games pants with pads, and helmet decals. Use this link for the 2018 Rec Football season schedule. 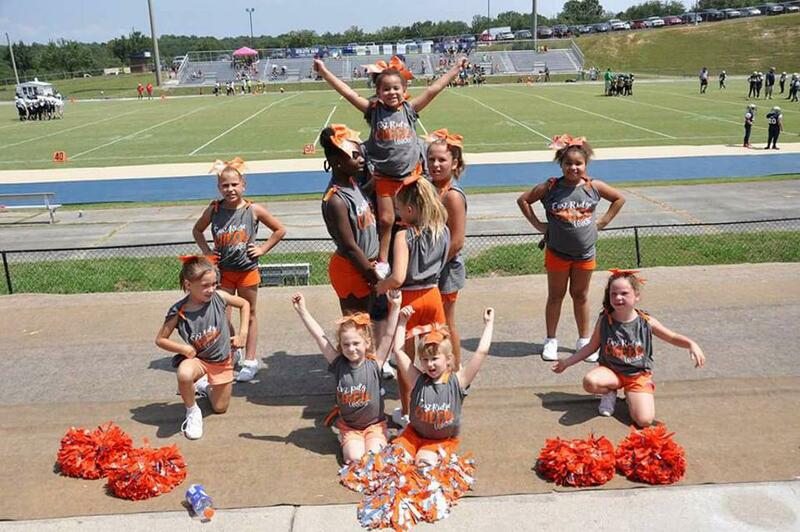 East Ridge Parks and Recreation is a member of the Scenic City Youth Football League. 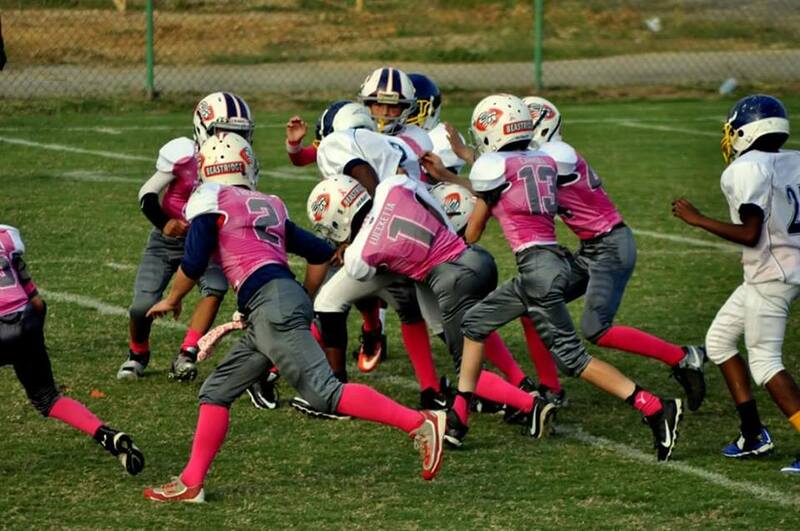 The SCYFL football program is open to players 5 to 12 years old. The age group determination has a cut-off date of April 30 of the current year. Participants may play up a division, but may not play down. Teams are drafted in late July, and practices begin August 1. The season begins with a Jamboree during the final week of August and ends with a Super Bowl played at Finley Stadium (Home of the Chattanooga Mocs) in mid-November. The East Ridge SCYFL teams play home games at Raymond James Stadium and Earl Shanks Field. The East Ridge teams have a schedule of 8 to10 games against teams from Hamilton, Bradley and Rhea County’s in Tennessee and Walker and Catoosa County’s in Georgia. Games are scheduled for every Saturday during the season at various locations. In case of bad weather, postponed games are often moved to weeknights or Sunday afternoons. The league is divided between North and South Divisions and travel is limited as much as possible. Each team should expect to have an equal number of home and away games. Member organizations involved in the SCYFL are Avondale, Boynton, Cleveland, Dayton, East Brainerd, East Hamilton, East Ridge, Harrison, Hixson, Lakeside, Lookout Valley, Rossville, Signal Mountain and Soddy Daisy. East Ridge Parks and Recreation provides a top quality uniform that includes a football jersey, game pants, and insurance for those who register. Parents are to provide cleats, football pads, a football helmet and a mouthpiece that attaches to the helmet’s facemask. These items may be purchased at any sporting goods retailer. SCYFL mandates each home team to charge an admission fee of $5.00 ($2.00 for seniors) age 13 and up for games. The proceeds from the admission fees are used to pay referees and to offset other costs. ©2019 East Ridge Parks and Rec / SportsEngine. All Rights Reserved.